December 6th and 7th the Vigor Motorsports/Magnum Off Road Race Team participated in the Best in the Desert Henderson 250 off road race, the last of the six race series. This is a great event held in Henderson NV. The event starts out with Technical Inspection and Contingency Registration held on historic Water Street in downtown Henderson. 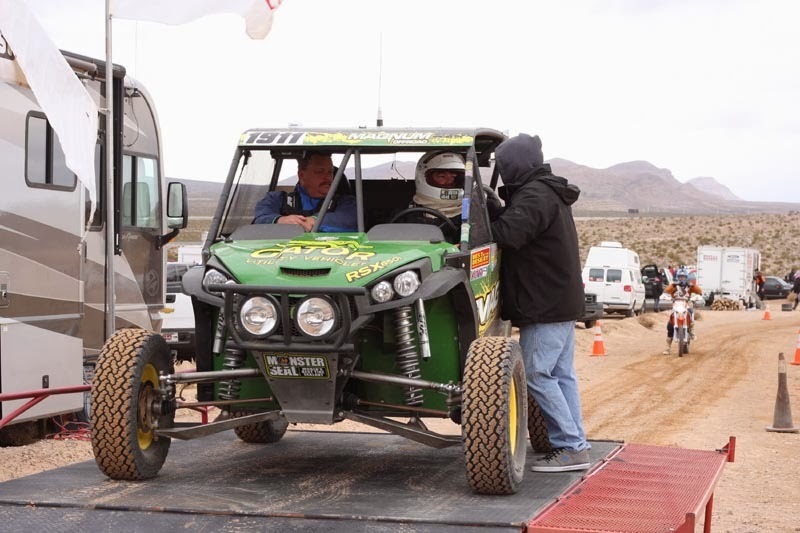 Then on Saturday the event moves out into the desert for three races split by class. The UTV classes run the first race starting at 6:15am running on a 45 mile loop. 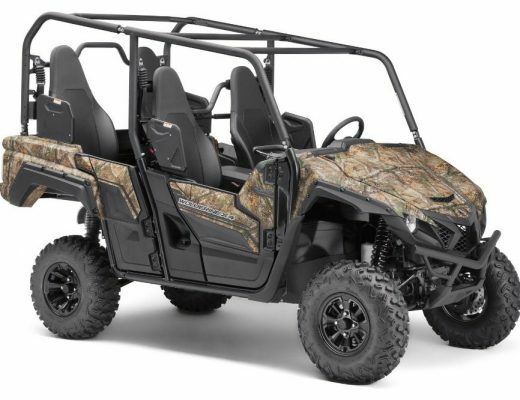 As always Vigor Motorsports campaigned its two John Deere Gators, a John Deere Gator RSX 850i in the Pro UTV class and John Deere XUV 825i Gator in the Pro DSR1 class. The RSX driven by Mike Mercurio and Scott Martinez ran well finishing in 11th place in class. This finish continues to demonstrate the durability of the RSX850i giving the car it’s fourth consecutive finish this seaon. The second car, the John Deere Gator XUV DSR1, was driven by Matt Krimple and Sarah Krimple. With the clutching setup issues figured out and the belt reliability problems resolved the car ran flawlessly winning it’s class for a second consecutive race giving the John Deere brand it’s second victory in UTV off road racing. Check out www.BITD.com for the official results and UTVUnderground.com for more details and pictures from the race. Thank you to all of our sponsors, Magnum Off-Road, Fox Shox, General Tire, KC Hilites, Method Wheels, PRP Seats, Team Clutch, Odyssey Battery, Competitive Metals, Piaggio, Big Gun Exhaust, Alba Racing, Summers Brothers Axles and Monster Seal Tire Sealant without your products and the support of UTV Underground, One Day Wraps, El Cartel Tequila, Stotz Equipment and Baja Pits this season would not have been possible. A special thank you to Harlen Foley from ATVRiders.com for his photo contribution as well. Vigor Motorsports is looking forward to another exciting season in 2014 with plans to campaigning both John Deere Gators in the entire BITD schedule. In closing, let us extend a special thank you to Casey Folks, his staff and volunteers, at The Best in the Desert Racing Association for putting on a great race and an epic series.